Vista Introduction-Shenzhen Vista Photoelectricity Co.,Ltd. 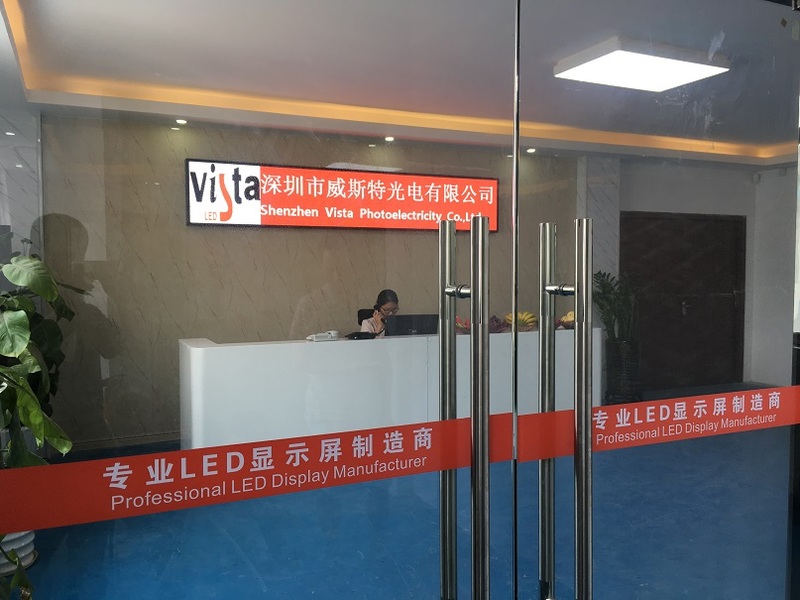 Shenzhen Vista Photoelectricity Co.,Ltd plays a leading role in LED industry, headquartered in Shenzhen. We are a full range manufacturer and LED display solutions provider for stage rental use and commercial advertising. With 6000sqm/month production capacity and a team of 54 engineers & 120 sales , our products were exported to over 90 countries. As one of the biggest supplier of OEM&ODM service, we became better and better. During 5 years fast development, we had took the golden opportunity of capturing and capitalizing on the tremendous growth of China over the years, and so penetrated strongly into the local market place with over 20 branch-offices operating. Over the last decade we also extended our sales & distribution network over the continents of North and South America, Europe, Asia Pacific and Africa as witnessed by the nascent exponential growth overseas. We're also looking for more OEM cooperative partners and quality distributors to create the largest production and distribution line in the world. Our products include ranges of indoor, outdoor, fixed, rental and creative LED Solutions for various applications including sports, advertisement, concerts, shopping malls, traffic guidance, stadiums, exhibitions or any other indoor and outdoor events that comes to your imagination. As a professional LED display technology company, VISTA will consistently devote in LED display researching and development as always with the unremitting VISTA spirit and diligence & wisdom of all employees. All of this will make VISTA one of the leading displays manufacturers in the world. VISTA has brought the whole world with a fresh breeze of high technology, outstanding reliability, devoted service and upright business ethics from China.